From one pallet to full truckloads, Cannonball Logistics has a network of carriers who can cover your shipment. Overweight shipments, oversize shipments, and shipments requiring other specialized equipment moved daily. 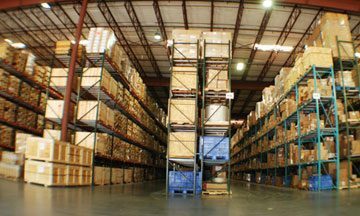 Cannonball Logistics has the expertise and resources to provide turn key management of facility moves, warehouse relocation, mobilization / decommissioning, and large scale projects. Many customers of Cannonball Logistics have been doing business with Cannonball Trucking for over 20 years. Excellent customer service, integrity, and value create natural long term partnerships with our customers. 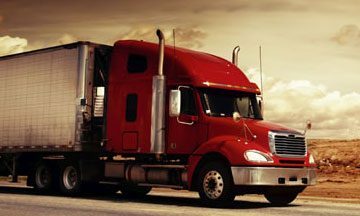 Cannonball Trucking was founded in 1964 and quickly became the preferred, asset based, expedited freight service in the Houston metropolitan area. Our first major victory was early in 1965 with the signing of the Tenneco Oil contract and it was here that we began to see a growing need for 24-hr service to the petro-chemical industry. Soon, companies such as Texaco, ConocoPhillips and Chevron were joining our team. In 1985, Cannonball purchased a Certificate of Authority for Intra-State regulated shipments. Shortly thereafter, we applied for and were approved for Interstate shipments, thus, providing us and our customers much more flexibility in the types of services offered. Customer demands change daily. You need a freight carrier that offers a wide variety of services that meet those changing demands. Cannonball understands that shipping programs must evolve at the speed of business. In 2014, we recognized an opportunity for growth and to expand into a market previously untouched by Cannonball. We listened to our customers’ needs and created Cannonball Logistics, LLC. With the help of strategic and trusted business partners, Cannonball Logistics, our third party logistics division, can assist with your shipping needs to all 48 contiguous states, Canada and Mexico. Whether you want to move steel, lumber, chemicals or cars, from single shipments to custom programs, Cannonball has you covered. For over 50 years, Cannonball has focused on meeting the demanding needs of our customers along the gulf coast. Our commitment to excellence in service, combined with a rock solid safety record, has ensured that Cannonball Trucking, and now Cannonball Logistics, remain the preferred full service transportation company in Houston and beyond. Family values, honesty, and straight forward business practices, have continued to strengthen the relationships with our customers. The result is a company where a hand shake is still worth as much as a legal contract. Thank you again for the opportunity to serve you. We welcome you to the Cannonball family. 53’ long x 102” wide enclosed trailer used to transport palletized cargo that needs protection from the elements. 48’ long x 102” wide open bed trailer used to transport machinery, pipe, or other cargo that needs to be loaded from the side. Shipments that need to be kept cold or heated which include food products and specialty chemicals. Specialized equipment to haul over dimensional loads like windmill blades. Shipments over 80,000 gvw which require special permits. Container shipments that transition from steamship, to rail, to truck, to customer. Shipments that do not fill up an entire truck like boxes or pallets. Critical shipments that need to be moved by truck and delivered before an important deadline. Shipments transported via plane or steamship worldwide. Shipments into Canada & Mexico including all required documentation. 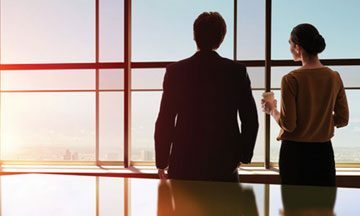 Industry expertise to guide business strategy improvements to turnkey management of large projects. Custom programs designed to meet a customer’s specific situation. CANNONBALL LOGISTICS 2017. All RIGHTS RESERVED.